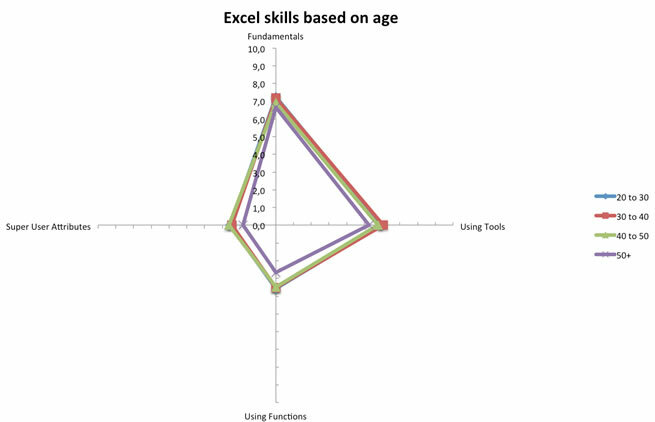 What is your Excel skill level? 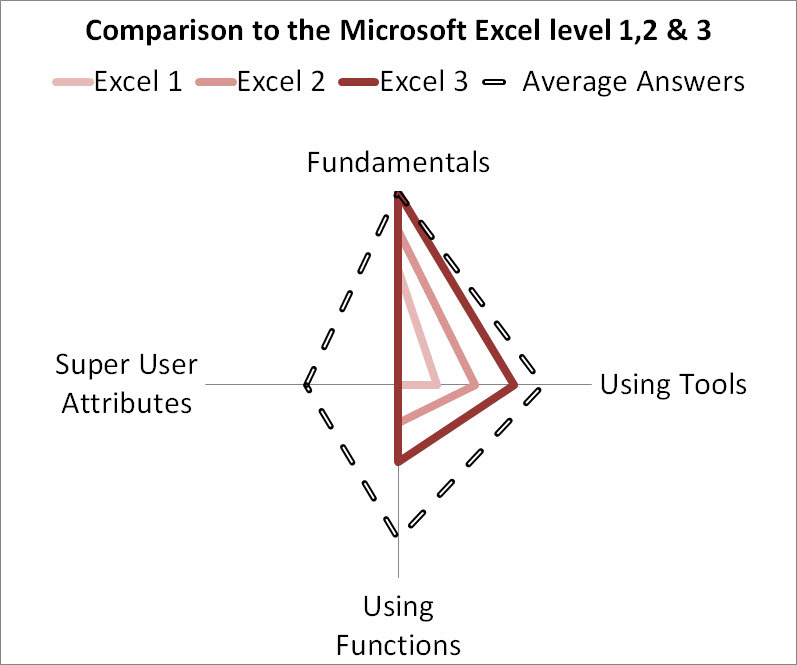 Which Excel course should you attend? For non Africans you can get a report on what your skill level is and what type of course you should attend, comparing your skills to the traditional Excel 1,2,3. Complete the Excel Skills Assessment Handout and after payment receive your report (please note that their is a lag due to manual marking and assessment). The Excel skills assessment test assesses the person’s aptitude for Excel learning and allows you to match your Excel skill level to the correct training material. 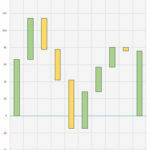 Adjacent is an example report comparing our average visitor (dashed line) to the traditional Excel 1,2 and 3 skill levels (notice that a person with Excel level 3 is still only touching the surface of what Excel can do). For more details you can download the Excel Aptitude Tests Brochure explaining each area. You can download the Excel Skills Assessment Handout and complete it (instructions and questions sheets). 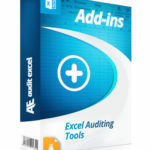 Send it to info@AuditExcel.co.za with proof of purchase and we will score the test and send back the report. You will notice that throughout the site there are scores from 0 to 10 on the free video tutorials and courses. Once you have your score you will be able to assess the Excel training material that is most appropriate for you. 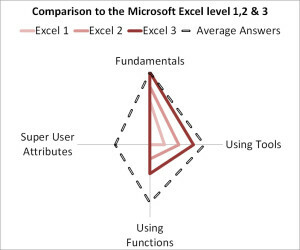 Below are some interesting results from the full Excel skills assessment. Once you have your report you can compare yourself to these graphs. 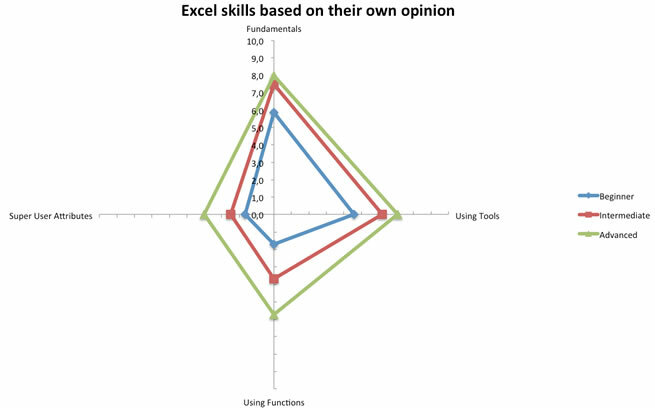 Comparing people’s own opinion of their skill level to our excel skills test. Most people are self aware. 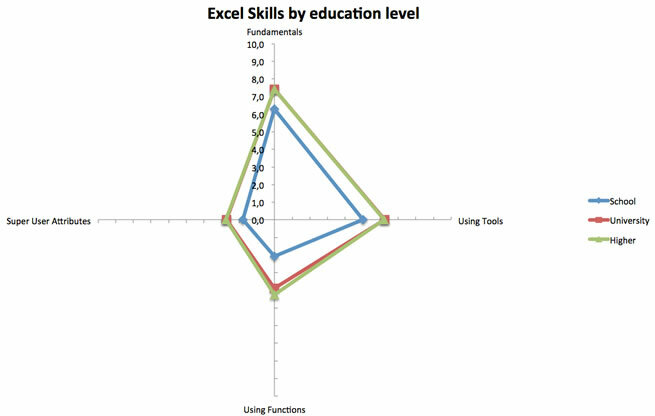 Comparing education level to Excel skills test score. Not much of a difference.